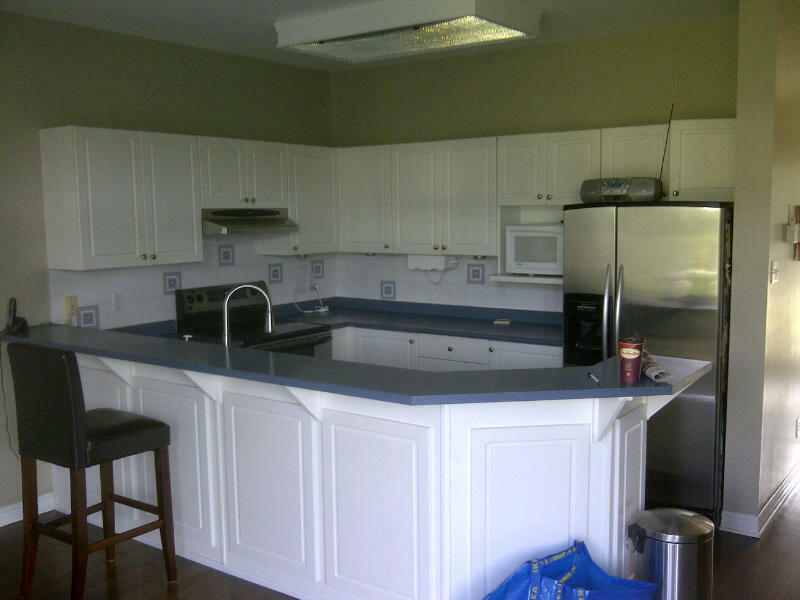 Before: Mark and Lorraine’s kitchen. 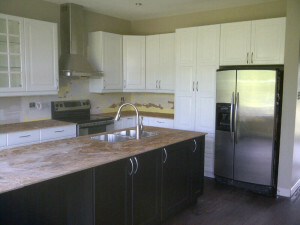 We’re back in Stittsville, renovating Mark and Lorraine’s kitchen. 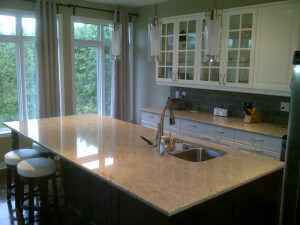 They are neighbours to Ed and Kate, whose flooring and kitchen we recently renovated. 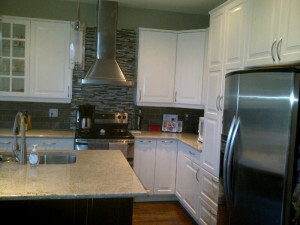 Thank you Ed and Kate for recommending us. It means a lot. pieces will be staggered and match. Mark and Lorraine’s flooring was installed around the old kitchen cupboards. 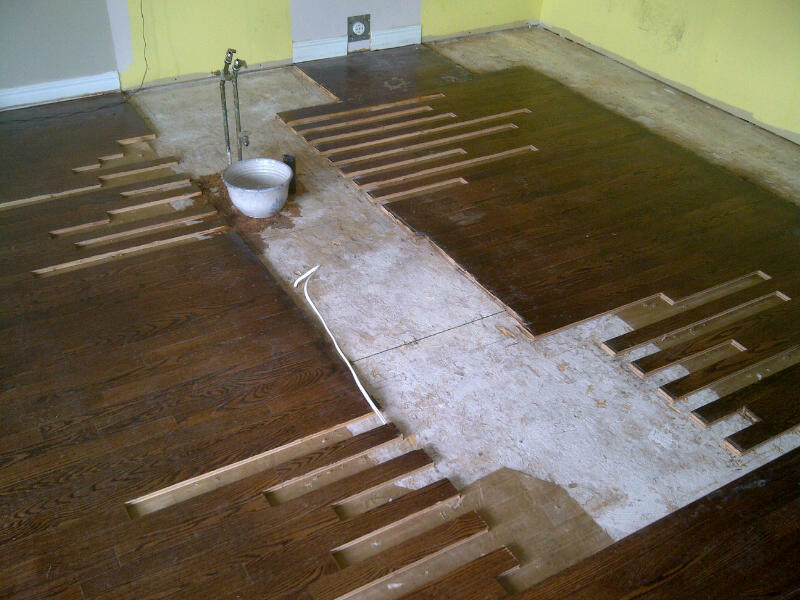 We carefully removed every 2nd strip, so we could stagger, sand and stain the replacement hardwood and it would all look uniform. Mark and Lorraine chose Ikea units, with white along the walls and dark units for the island. 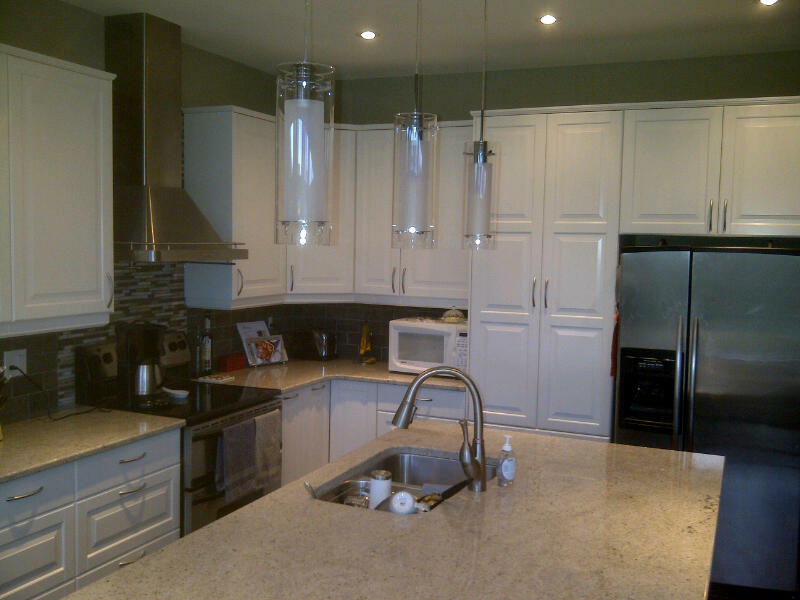 This renovation took 9 days from demolition to complete installation. We finished on time and on budget, as always. 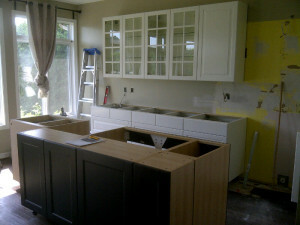 Now the wait for granite counters before tiling the backsplash. Mark and Lorraine have been away at their cottage during the renovation and their friend has been coming in to monitor the progress. Today he saw the nearly finished kitchen and exclaimed, “It’s amazing!!“. 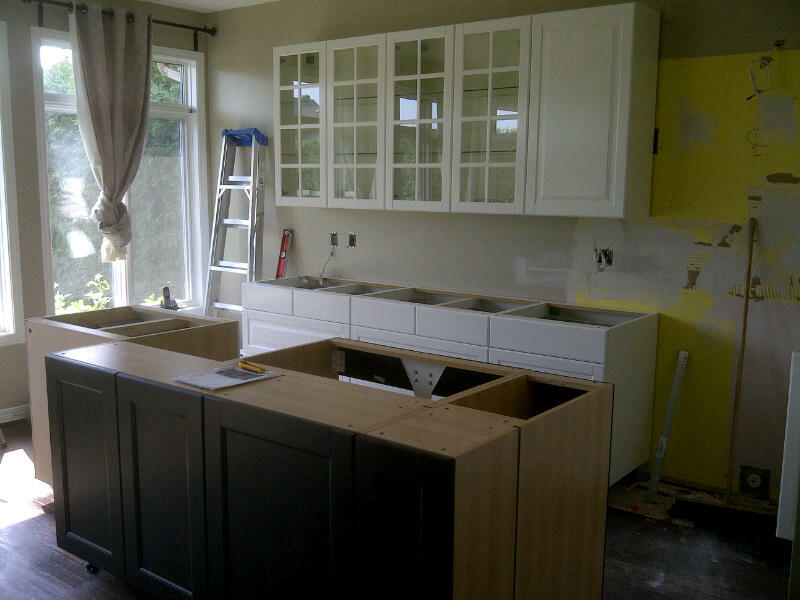 August 17 update: Lorraine emailed me today to schedule the counter installation and added, “FYI — we’ve had a steady stream of neighbours coming by to see our new kitchen and everyone LOVES IT!“. wait for the granite counters before tiling the backsplash. 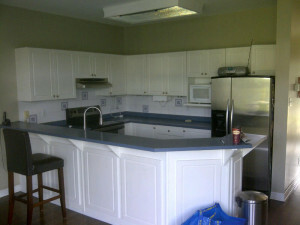 Granite counters installed and backsplash tiled. September 13 update: Mark and Lorraine’s granite counters are now installed, so we went back to tile the backsplash, with tiles from Centura (we recommend dealing with Maureen).